We love a good sample sale, especially one with tons of cute workout gear, which is why we’re so excited for Bandier’s first-ever warehouse sale. Athleisure apparel will be up to 80 percent off, while footwear will be up to 60 percent off. This sale runs all week, but we have a feeling it’s going to be busy, so show up early for a shot at scoring the best merchandise. 260 Fifth Ave, Aug. 2-6: 10 a.m. to 7 p.m. Aug. 7: 10 a.m. to 4 p.m. Kick off Wine Wednesday with a tasting event featuring 35 of the finest white wines from throughout the world. In between sips, fuel up on gourmet cheese and charcuterie. Both wine aficianados and newbies are welcome. $25 tickets, Astor Center, 399 Lafayette St., 6-8 p.m. Kick off the summer 2016 Olympics with a viewing party at Haven Rooftop. This chic rooftop bar will be showing the games in primetime and offering special Brazilian Caipirinhas and Coxinhas in addition to regular menu items. 132 W. 47th St.
Brunch! We may have hated the service, but we loved the ambiance of Gallow Green‘s garden rooftop. As long as you mentally prepare for minimal wait staff attention, you’ll enjoy yourself! 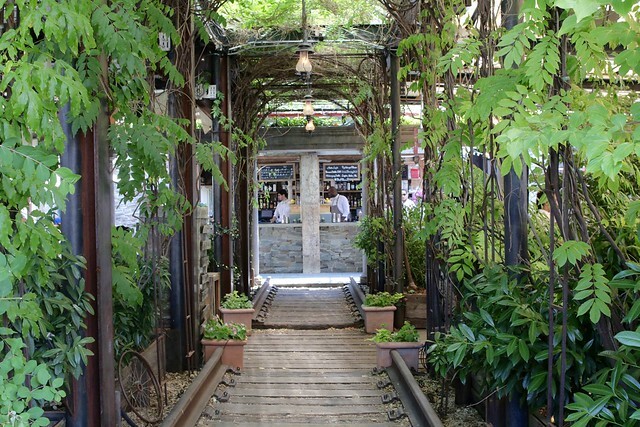 Gallow Green serves brunch on Saturdays and Sundays from 11:30 a.m. to 4 p.m.